If rural schools are to produce the mathematicians and scientists we need in this ever-evolving technological era, teachers must come up with strategies that encourage learners to overcome their low self-esteem regarding mathematics. Teachers need to be creative in their classrooms by providing specific feedback to assist learners in correcting their mistakes and genuinely praising their efforts while focusing on learners’ ability to improve and learn. The majority of rural schools in South Africa are not built to suit the needs of the learners. With my experience as a tutor at schools, there are often 50 learners in one class. How does one learn in this kind of environment, let alone teach? In most schools there are also no libraries, science laboratories or computer labs that could help learners with experiments or research. It cannot be assumed that all learners come from stable homes. Some learners cannot study at home due to family problems. Something as simple as having a library and desk for them to use after school could work to their advantage. Many previously disadvantaged teachers are poorly qualified due to socio-economic and historic factors. The important question here is how to find solutions to fill those gaps? Poorly qualified teachers, too many pupils per teacher, textbook and classroom shortages are all factors that negatively influence pupils learning opportunities. This is where mobile classrooms and libraries have proven themselves very handy. By implementing mobile teaching units in and around rural schools, skills, expertise and resources are brought into the community along with a comfortable working environment for learners. 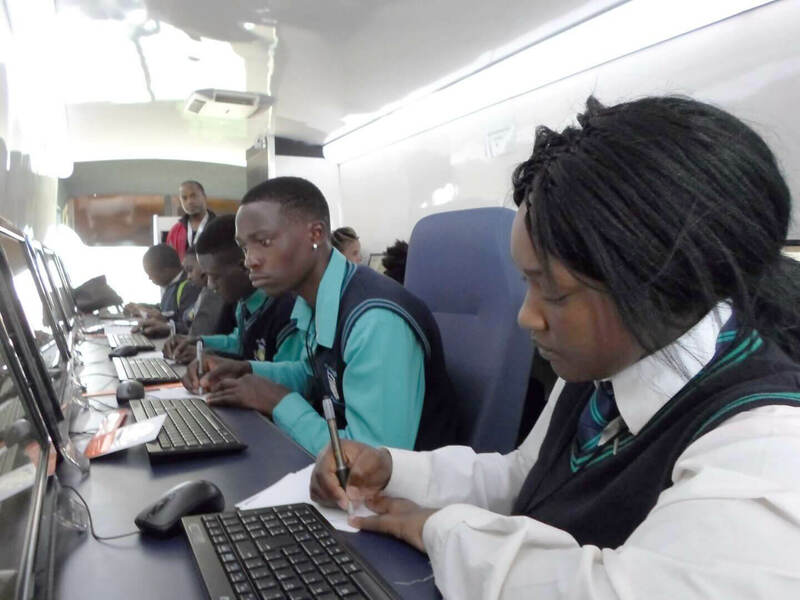 With a mobile classroom unit in the area these learners do not need to travel long distances, or make costly plans just to be able to study and learn. How can Corporate Social Investment play a role? Education should be the responsibility of all of society, as without an educated society we cannot expect to advance. Companies from all walks of life are always looking for opportunities to provide educational and financial support to disadvantaged learners and have allocated corporate social responsibility funds to initiatives such as these. With these funds, mobile education initiatives can be implemented where learners can receive extra lessons in mathematics, science and English and can also incorporate study, computer and life skills training. A mobile approach allows invested companies to easily obtain a larger reach and identify talented children across the country. Companies’ CSI departments are able to touch hundreds and thousands of children on a rotation basis, which yields a positive and tangible return on investment. Learners can be regularly monitored and assessed during this programme to ensure that constant support is provided. After the programme, qualifying learners can be identified to receive financial support for tertiary studies and job placement support after graduating. Mobile education initiatives are fantastic opportunities for corporate social responsibility departments to truly make an impact on the state of education in South Africa in a positive, measurable and transparent manner. If you are interested in implementing your own CSI mobile education initiative get in touch with the Mobile Student Future team here. Mobile education initiatives are fantastic opportunities to make an impact in a positive manner.